100 years ago today: A historic call gives new impetus to socialist antiwar currents. By John Riddell. During the first four months of the First World War, no statement from German socialists appeared denouncing the war. Government repression and the bonds of Social Democratic Party discipline prevented antiwar voices, such as those of Rosa Luxemburg and Karl Liebknecht, from gaining a hearing. This changed 100 years ago today—on December 2, 1914. Liebknecht took a bold stand against the slaughter as the first deputy to vote in the German parliament (Reichstag) against allocating funds for war spending. His protest resounded across Europe and gave new hope and energy to socialist antiwar currents. Liebknecht’s explanation of his vote (below) was circulated across Germany as the first of the underground circulars later titled Spartacus. His statement was amplified in his May 1915 underground article “The Main Enemy Is at Home,” the final portion of which is translated here. His March 1916 speech, “Turn Your Weapons against the Common Foe,” piercing through the hostile uproar of government supporters, raised a call for revolution. All three of these short statements are translated below; they are followed by a note on sources. A few weeks after his March 1916 speech, Liebknecht was jailed for “high treason.” In October 1918, as the German state began to crumble in the face of popular protest, Liebknecht was released. In November 1918, German workers and soldiers rose in insurrection, overthrowing the government and bringing the war to an abrupt end. 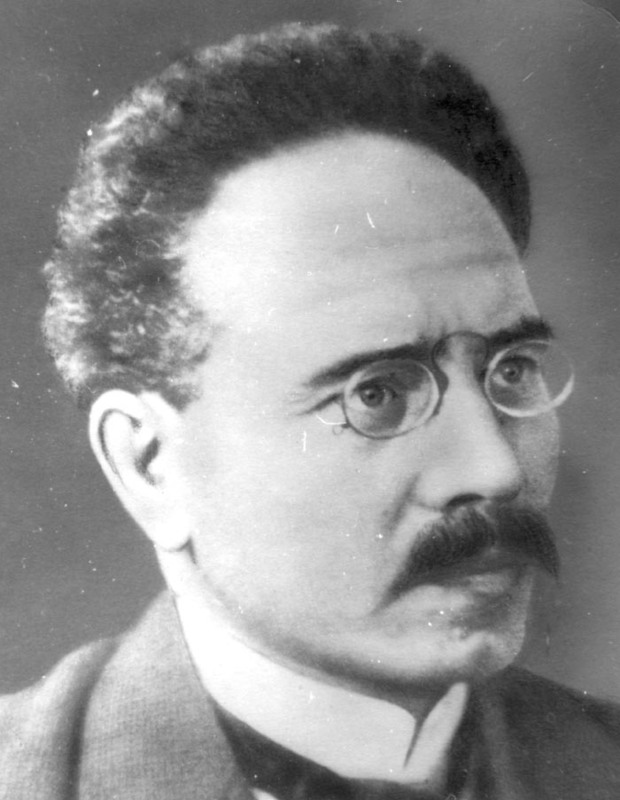 Karl Liebknecht led in founding of the German Communist Party on January 1, 1919. Later that month, he and Rosa Luxemburg were murdered by rightist officers. By Karl Liebknecht. December 2, 1914: I am voting against the war credits bill today for the following reasons. None of the peoples involved in this war wanted it, and it did not break out to promote their welfare—not in Germany or anywhere else. It is an imperialist war, a war to dominate the capitalist world market and secure for industrial and financial capital the possession of important territories for settlement. In terms of the arms race, this is a preventive war launched by the pro-war forces in Germany and Austria in the obscurity of semi-absolutism and secret diplomacy. It is also a Bonapartist venture to demoralize and destroy the rising workers’ movement. This has become increasingly clear in recent months, despite ruthless official measures to sow confusion. The German slogan, “Against Tsarism,” just like the current British and French slogans, “Against militarism,” serve the goal of harnessing the most noble popular feelings and aspirations and the heritage of revolutions to the cause of nationalist hatred. Germany shares the guilt of Tsarism and remains to this day the model of political backwardness. It has no credentials as a liberator of peoples. The liberation of the Russian people must be achieved by themselves alone, just as is that of the German people. For Germany, this is not a defensive war. The war’s historic context and its unfolding to this point preclude accepting the claim of a capitalist government that it is asking for resources with which to defend the fatherland. We must demand a speedy peace, a peace that humiliates no country and involves no annexations. All efforts to that goal should be welcomed. All the currents in all the belligerent countries that seek such a peace need to be strengthened simultaneously. That is the only way to call a halt to the bloody slaughter, before all the involved peoples are fully exhausted. The only secure peace will be one based on international working-class solidarity and the freedom of all peoples. Therefore, it is now the task of the proletariat in every country to carry out common socialist work in every country for peace. I approve the emergency spending for relief—indeed I regard these measures as wholly inadequate. In the same way, I approve of all measures to alleviate the hardships of our brothers at the front and of the sick and the wounded, who have my fullest sympathy. No such measures could go far enough for me. I protest, however, against the war and those who launched it and direct it; against the capitalist policies that gave birth to it; against the capitalist goals that it pursues; against the plans for annexation; against the violation of Belgian and Luxemburgian neutrality; against the military dictatorship; and against the continuing neglect of social and political responsibilities on the part of the government and the ruling classes. For these reasons I reject the requested war credits. By Karl Liebknecht, from an underground leaflet published in May 1915. The absurd slogan, “Hold out to the end,” is discredited. It only leads deeper into the maelstrom of mutual massacre. The task of the hour is international proletarian class struggle against the international imperialist slaughter. The main enemy of every people is in its own country! The main enemy of the German people is in Germany itself: German imperialism, the German war party, and German secret diplomacy. The German people should combat this enemy, located in their own country. This is a political struggle to be waged in collaboration with the proletariat in other countries, who are battling their own native imperialism. We know that we stand together with the German people. We have nothing in common with Germany’s Admiral Tirpitz, General Falkenhayn, and the like, or with the German government based on political oppression and social subjugation. Nothing for them, and everything for the German people! Everything for the proletariat in Germany and internationally and for downtrodden humanity! How long will the imperialist gamblers abuse the patience of the people? Enough slaughter—more than enough! Down with the war-mongers on both sides of the border! End the slaughter of the peoples! Proletarians of every country, follow the heroic example of our brothers in Italy. Join together in the international class struggle against the conspiracies of secret diplomacy, against imperialism, against the war, and for a peace in the socialist spirit. The main enemy is in your own country! Excerpts from a speech in the German Reichstag on March 16, 1916, as recorded in the official parliamentary record. Chairman: Deputy Liebknecht, I must ask you to be silent. Liebknecht: Gentlemen, I have only informed you of what stirs me to deep indignation. But I heard it with my own ears; it is the truth….